Here is the suppose "top secret" trailer for J.J. Abrams and Steven Speilbergs new thriller "Super 8" about Area 51. Looks like an interesting film we at Arcturi cannot wait to see it! 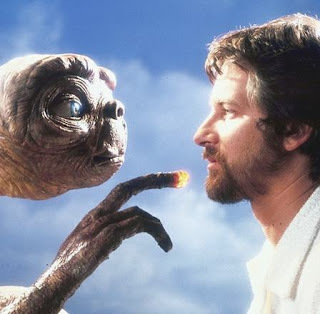 When Steven Speilberg creates aliens movies they tend to have an impact on the world (Close Encounters of the Third Kind, ET, Men in Black 2, and many many more). His obsession with space, aliens, and the paranormal have produced 7 of the top 20 profit grossing movies of all time. In 1997, Steven Speilberg and account executives met with officials from the Pentagon whom told Speilberg to create a movie about an astroid impact with Earth. One year later the movie "Deep Impact" hit theaters. Speilberg is known to be a part of the Reptilian control group Bilderburg and attended several meetings with its members. Additionally, the famous "alien autopsy footage" were allegedly created by Speilberg productions. On top of this Speilberg also has donated and supported ancient alien research for many years.